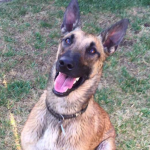 Shank was returned to his breeder at the age of 4.5 months, after having been labeled a “Riot Dog”by his original owner. 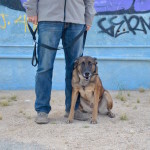 His past owner found him too aggressive and too difficult to handle, claiming he had intense aggression with not only strangers, but with his handlers as well. This “label” sparked our interest and we decided to investigate. 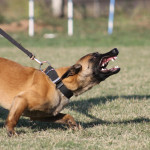 True to his description, sweet puppy Shank had his first live bite the day we picked him up and his first few days with new owner and 690 founder, Meagan Karnes were tumultuous. But after working through a few kinks, and with a little patience and TLC, it became apparent that little Shank was simply misunderstood. While he remains quite civil as he matured, Meagan and Shank now share a truly unbreakable bond. Environmentally bombproof, this boy is completely fearless. He is both sweet and fiery and will grow up definitely having Karnes’ “SIX”. 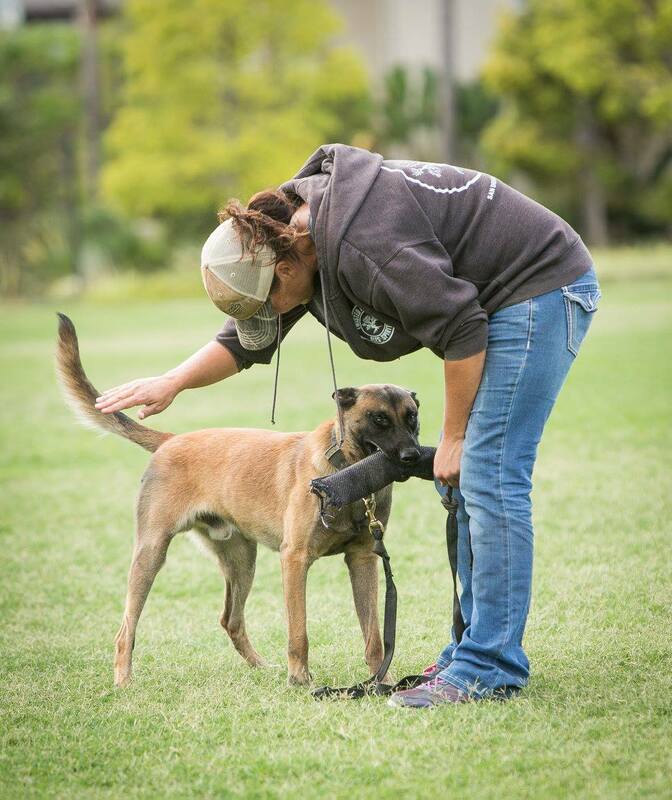 You can read about Meagan and Shank’s journey together on the Riot Dog Chronicles. Check out Shank working as a pup!